We are proud of our knowledgeable and effective Coaching Staff, including current and former NCAA athletes and College-level Fencing Coaches. NCAA / USA Fencing professional fencing coach. 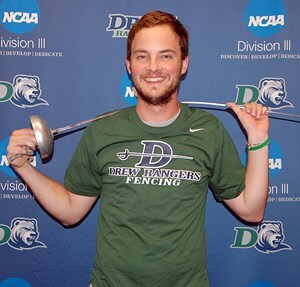 Paragano is the men's and women's Head Fencing Coach at Drew University (NCAA Division III), taking over the reins of the program midway through the 2014-2015 college season. Over the past 3 full seasons, he has led the Drew Rangers to an astounding 125+ dual meet victories (among the top Division III Programs in the USA). This year, Paragano was selected as "2018 FENCING COACH OF THE YEAR" by the Middle Atlantic Collegiate Fencing Association. He was previously honored as the "2016 FENCING COACH OF THE YEAR" by the Eastern Women's Fencing Conference (NCAA Division III). As a high school Head Coach, Paragano was named "NEW JERSEY HIGH SCHOOL FENCING COACH OF THE YEAR" three times by the New Jersey Interscholastic Fencing Association and was honored as "HIGH SCHOOL FENCING COACH OF THE YEAR" in 2009 by the Newark Star Ledger. Paragano is also the only Head Coach in New Jersey High School fencing history to lead two different teams to the prestigious Santelli Team Championship. Kevin Cho, a fencer for 19 years, joined Vincent Paragano's Drew Rangers coaching staff for the 2016-17 and 2017-2018 seasons. Cho has helped the Drew Rangers Men’s and Women’s teams re-emerge to East Coast NCAA Division III prominence. Cho boasts significant experience both fencing and coaching the sport. 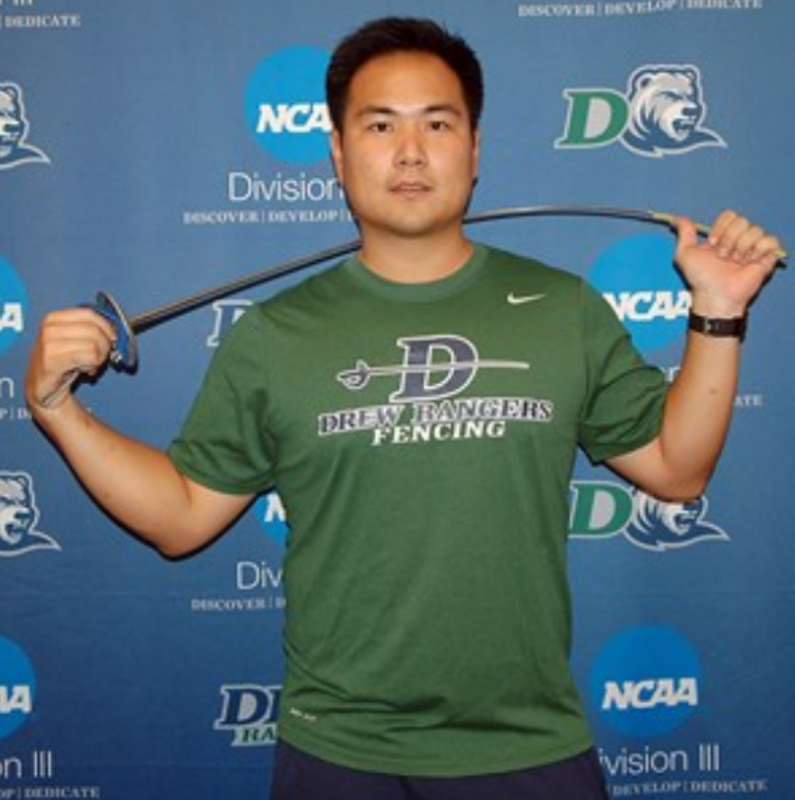 On the coaching side, Cho served as the head foil coach at the Fencing Academy of South Jersey from 2009-14. Prior to Drew, Cho served as the Head Coach at Mendham High School. Cho previously served as the Head Coach at the Moorestown Friends School in 2010-11, as well as Assistant Coach at Gill St. Bernard's and Mendham High School. As a private coach, Cho has produced several local, national, and international medalists. He has guided two state champions in women's foil as well as several top-eight finishers in the New Jersey Individual High School State Tournament. Brendan McNelis has over a decade of experience as an epee competitor and coach. He began as a sophomore at Governor Livingston High School, and has loved the sport ever since. Within a year of first stepping onto a fencing piste, he qualified for and competed in the Junior Olympics in Charlotte, NC. He has been a regular competitor in several Summer National Championships. While attending Marquette University, McNelis continued to instruct and inspire fencers at Governor Livingston HS as a volunteer Epee Coach. Upon receiving his degree from Marquette, McNelis served as Assistant Head Coach for his alma mater, Governor Livingston High School. In coming to Drew University, McNelis is reunited with Head Coach Vincent Paragano, his former high school coach and mentor at Governor Livingston HS. Coach McNelis has made competing, coaching and directing fencing his passion. When he is not on the Drew campus, he can be found honing his competitive epee skills at several area clubs or teaching private students. McNelis is excited about his new coaching opportunity and welcomes the opportunity to assist every Drew Ranger Fencer in reaching his or her potential.